Authors Guild Member Profiles - Brief profiles of hundreds of authors, with contact info and links to their websites, arranged A to Z. AUTHOR INTERVIEWS - see below. Book Arts Web - Extensive links to material on bookbinding, conservation, repair, printmaking, and other book-related arts (by Peter D. Verheyen, Syracuse University Library). Another good resource on book arts is the Guild of Book Workers (last updated 2011; non-profit organization). Dartmouth College offers an online Book Repair Manual which explains how to do simple book repairs. Written for librarians, but useful for anyone wanting to repair an injured book. Includes a related page of Book Preservation FAQ. Book Burning - A history of attempts around the world to censor books by burning them, from 200 B.C.E. to the present. See also Banned and Challenged Books (American Library Association). CENSORED: Wielding the Red Pen is an online exhibit which 'hopes not so much to judge censors and censorship but instead to provoke questions' about whether there are any situations where restrictions on materials or ideas might be justified or appropriate. Click on 'Walk Through the Exhibit' to get started (University of Virginia). Donation Programs UPDATED LINK! - Do you have books and other materials (such as textbooks or encyclopedias) that the South Plainfield Library can't use, but which you would like to donate for a good cause? This site lists international programs for donations of books, journals, and media. Emphasis is on textbooks and academic journals (University of Buffalo). For more book donations sites, see Book Donations Fact Sheet (American Library Association) and Where to Donate: Books (South Plainfield Public Library). Literary Traveler - For those interested in exploring locales from the world of literature, this site offers informative and interesting articles about writers and creative artists, and the places they lived and traveled. Links and other resources are included. Lost Titles, Forgotten Rhymes: How to Find a Novel, Short Story, or Poem Without Knowing its Title or Author - 'Locating a novel, short story, or poem without knowing its title or author can be very difficult. This guide is intended to help readers identify a literary work when they know only its plot or subject, or other textual information such as a character's name, a line of poetry, or a unique word or phrase.' (Library of Congress). For children's books, see also Loganberry Book Stumpers, below. Reading Group Guides - Offers advice on starting and running a reading group, with book recommendations, reading guides, interviews, recipes, and more. Most of the reading group guides provided here are contributed by each book's publisher (From BookReporter.com). See also Starting a Book Club and Book Club Central NEW! (American Library Association). Most major publishers now offer reading group guides for books they publish; go to the publisher's website and find the webpage for the specific title you're interested in to see if there's a reading group guide. For literary classics, see Penguin Classics Reading Guides & Penguin Teacher's Guides NEW!, Knopf Doubleday Reading Group Guides, and/or student-oriented sites offering study / discussion questions such as Spark Notes UPDATED LINK! (Barnes & Noble). If you're interested in joining a local reading group, the South Plainfield Library hosts ongoing Book Discussion Groups for Adults, as well as groups for Kids, Teens & Tweens. World of Books - Annotated selections of 'noteworthy books from around the globe.' Includes nonfiction, fiction, and poetry, but only covers books published through 2002. Searchable by country (Library of Congress). For more recent international literature, see Words Without Borders. WorldCat® - Search for books, CDs, DVDs, and other materials in over 10,000 libraries worldwide. When you find the item you want, enter your zip code to find it in the libraries nearest to you. Now you can also register for a free account and create lists of favorites you find when searching (OCLC / WorldCat). If you want a book or other material which the South Plainfield Public Library doesn't own, you can request it using our Interlibrary Loan service. Longreads (best of the Web) UPDATED LINK! NY Times: Books UPDATED LINK! ALA Notable Books - The Notable Books Council's annual list of '25 very good, very readable, and at times very important fiction, nonfiction, and poetry books for the adult reader.' See also ALA's Notable Children's Books. (American Library Association). BOOK REVIEW SITES - see below. Booklist Notable Books - See ALA Notable Books, above. GENRE SITES - see below. Match Book NEW! - An ongoing New York Times column that connects readers with book suggestions based on their questions, tastes, and literary needs & desires. New York Public Library (NYPL) Recommends - A large searchable collection of fiction and non-fiction booklists created NYPL librarians. Use the dropdown menus to choose subject/genre and audience (children, teens, adults, teachers). New York Times: Books AUDIO - Online book news and book reviews from the New York Times. Includes Bestseller lists (see also NY Times Bestsellers in the South Plainfield Library collection) and podcasts. Also of interest is the New York Times's list of 100 Notable Books of 2017, Notable Children's Books of 2017, Top Books of 2017, and Ten Best Books of 2017. Nobel Prize in Literature VIDEO - Lists all the authors selected from 1901 to the present, plus articles, text excerpts, video interviews, and more. Pulitzer Prizes have been awarded in letters, drama, music and journalism beginning in 1917. Publishers Weekly Bestseller Lists - Bestsellers in Hardcover Fiction, Hardcover Nonfiction, Trade Paper, Mass Market Paper, Children's Fiction, Children's Picture Book, Audiobooks, and Top 10 Overall, plus Cookbooks, Romance, Mystery/Detective, Fantasy, Sci-Fi, Graphic Novels, Bio/Autobiography, and History. The Reading Lists NEW! - Interviews with successful and well-known guests on their reading recommendations for a variety of academic, business, arts and other topics. Series & Sequels - 'A listing of fiction books for adults which are part of a series, or are sequels to earlier novels. Can be searched by author, title and series name or characters.' NOTE: Results may not include the most recent titles in a series (Los Angeles Public Library). See also Fiction DB series lists (Kelly Petersen Wong et al.) and NoveList Reader's Advisory (library card barcode required). Novelist K-8 is a great online resource for helping parents and kids find that next great fiction read. NoveList K-8 Plus also provides access to thousands of nonfiction titles designed to support the curriculum and kids' pleasure reading. Created especially for kids, it has a colorful, graphic-rich homepage and is very easy to use. Hundreds of hand-crafted Recommended Reads reading lists created for teens and kids will excite even the most reluctant of readers. NOTE: You'll need to enter your name, library card barcode number, and PIN to start. Children's Book Council Book Search - Search for children's books by keyword, or browse by age, format, genre, and more. The site also offers 'Reading Lists & Round-ups' on a number of themes. Children's Classics Online - The Baldwin Project offers an extensive online collection of children's literature texts for works in the public domain in the United States (first published before 1923). NOTE: Advertisements for printed editions of books are prominently displayed at the top of the some pages. Rosetta Project is a large collection of antique children's books reproduced online, complete with original illustrations. You can browse alphabetically by title or by age group. Horn Book - This companion site to the Horn Book magazine and guide to books for children & young adults includes author & illustrator interviews, booklists & reviews, and more. I'm Your Neighbor Books - Recommended children's books featuring dozens of new immigrant cultures and groups, from Afghani to Zimbabwean. You can browse books by setting, theme, or cultural groups represented (Kate Cutko, Library Director at Bowdoinham Public Library, et al.). For related sites, see HOMEWORK LINKS: Books - Multicultural Literature. Juvenile Series & Sequels - A database containing thousands of books in series titles, for elementary through high school students. Indexed by series title, series subject, book title, and author. Just lists, no descriptions (Mid-Continent Public Library). Another extensive database of series and sequels is Young Adult Books in Series & Sequels (Bettendorf Public Library). Learn to Read: Starfall.com AUDIO INTERACTIVE - Free materials designed to inspire a love of reading and writing. Useful for pre-k through second grade; suitable for home-schooling. Best viewed with a high-speed (cable or DSL) internet connection. Loganberry Books Stumpers - [NOTE: There is a fee to submit a new question.] 'Have you forgotten the title of your favorite children's book? ...Submit your memory here, and see if anyone else remembers your book, or better yet, knows the title and author!' You can search or browse the archives for free to see if your question has already been answered. See also Lost Titles, Forgotten Rhymes, above. NPR's 100 Must-Reads For Kids 9-14 - In 2013, NPR polled its audience and consulted an expert panel to compile a list of 100 favorite books for kids age 9-14. There is also a similar list for young adults, NPR's 100 Best-Ever Teen Novels, compiled in 2012. Parents' Choice Award-Winning Books - Quarterly lists of the best kids' books in fiction, non-fiction, 'learning & doing', picture books, and poetry; most with brief reviews. Searchable by age group, keywords, product type, and more. Also includes Recommended Children's Magazines and Tips for Teaching Kids to Enjoy Reading. Picturing Books - Explores various aspects of picture books, including design principles, color theory, artistic style, picture book timeline, glossaries, quotes, and more. There is a fee for using the picture book database, but other resources are free; by librarian Denise I. Matulka. See also Eric Carle Museum of Picture Book Art: Making Art With Children, and the Museum's Recommended Picture Books. Reading is Fundamental (RIF) - Apps, activity calendars, booklists, and STEAM (Science, Technology, Engineering, Arts, and Mathematics) enrichment activities to foster learning in school and at home. Reading Rockets - 'A wealth of reading strategies, lessons, and activities designed to help young children learn how to read and read better.' Includes Reading Tips for Parents of babies through third graders, available in English, Spanish, Arabic, Chinese, Haitian Creole, Hmong, Korean, Navajo, Russian, Tagalog, and Vietnamese; scroll down the page to see reading tips for parents of children with disabilities (WETA Public Television, U.S. Department of Education et al.). See also PBS Parents: Reading & Language for parents of kids up to age 8, and Scholastic.com's Books & Reading Resources for parents of kids age up to age 13. Themed Book Reviews - Children's book lists published weekly on a variety of themes, with short descriptions of each book listed (International Literacy Association). See also Read and Shine Themed Reading Lists (Children's Literature Comprehensive Database Company) and Recommended books from ALSC (Association for Library Service to Children). Library Champions are people who love their libraries and want to be in the know about issues that may affect them. Please join us in preserving library service in New Jersey. Read all about it: Public Library Funding Myths & Realities, I Love Libraries, and State of America's Libraries 2018 UPDATED!. Adult Basic Education and Literacy - See Adult Basic Education & Literacy Training in New Jersey and related links. See also Adult Education & Literacy Links for a list of organizations and resources for providers of adult literacy services in the U.S. (U.S. Dept. of Education). American Library Association - National association dealing with library and library-related issues. Friends of the Library See United for Libraries, below, and Friends of the South Plainfield Public Library. Library Journal - News, features, and reviews from the library world. Library of Congress Online Catalog - The Library of Congress Online Catalog contains approximately 12 million records representing books, serials, computer files, manuscripts, cartographic materials, music, sound recordings, and visual materials. Search the catalog by keyword, subject, title, author, ISBN. Library Gateway - Links to hundreds of public and academic library catalogs throughout the U.S. and around the world. Literacy and Adult Basic Education - See Literacy Volunteers of Plainfield and related links. NJ Libraries - Websites, Online Catalogs - A comprehensive set of links to NJ libraries, including both college and public libraries. From the NJ State Library. For links and phone numbers of public libraries in Central New Jersey, see MURAL. NJ Library Association - State association dealing with library and library-related issues. See also Unlock Student Potential - Support Highly Effective School Libraries in New Jersey. School Library Journal - Book reviews, articles, and other resources on school libraries. You can use the site to search for articles, but most articles are only available to subscribers. See also Unlock Student Potential, above. United for Libraries - Resources and services for library Friends, Trustees, and Foundations across the country to increase and enhance their efforts on behalf of libraries of all types (American Library Association). 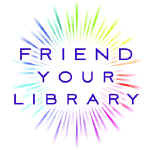 To support the South Plainfield Public Library, please consider joining Friends of the South Plainfield Public Library. U.S. Government Libraries [Link opens a PDF] - A directory of specialized libraries at federal agencies, departments, and research centers; includes addresses, phone numbers, and links & email addresses where available (published in 2014). The New Jersey State Publications Digital Library includes electronic New Jersey State government publications along with digital books, photographs and postcards about New Jersey but not published by state government; see also New Jersey Resources (New Jersey State Library). Government Publications at Rutgers is a guide to the government documents collection (both U.S. and N.J.) in the Alexander Library at Rutgers. Click here for a list of all federal depository libraries. FREE EBOOK DOWNLOADS from Listen NJ - Download free eBooks in ePUB format to read on your PC or eBook reader! Choose from a great collection of bestsellers, mysteries, classics, biographies, and lots more! NOTE: You'll need a valid South Plainfield Library Card to check out eBooks from the current eBooks collection. You can find even more free public domain eBooks to download at Project Gutenberg, described below. Free eBooks from Freading™ Try out our Freading eBook Service! Freading allows us to increase the size and diversity of our collection by offering access to tens of thousands of books for free download! The Freading collection offers eBooks in a wide range of genres & subjects, including Fiction & Literature, Romance, Mystery, Biography & Autobiography, Business & Economics, Comics & Graphic Novels, Computers, Crafts & Hobbies, Foreign Language Study, Health & Fitness, History, House & Home, Self-help, Travel, True Crime, and much more! 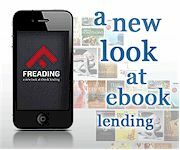 Freading has its own apps for the iPad® and iPhone®, and its own apps for Android™ tablets and phones. It is also compatible with Kindle Fire (not compatible with earlier Kindles), Nook, and Kobo devices. FREE AUDIOBOOK DOWNLOADS from Listen NJ - Download free audiobooks to transfer to your MP3 player or burn to a CD! Choose from a great collection of bestsellers, mysteries, classics, biographies, history, and lots more! Listen NJ now includes OverDrive MP3 Audiobooks which can be transferred to a wide range of devices, including iPod®, iPhone™, and iPod Touch! NOTE: You'll need a valid South Plainfield Library Card to download audiobooks. Project Gutenberg: Classics Online - 'The oldest producer of free electronic books on the Internet'; contains e-texts of over 33,000 classic titles produced by tens of thousands of volunteers. Includes the Harvard Classics. Project Gutenberg eBooks are available in Kindle, ePUB, HTML and plain text. You can also browse by category for audio books and books in different languages. Project Gutenberg is part of the Internet Text Archive which includes more than a million other open-access texts. See also Online Books Page (University of Pennsylvania) and Digital Public Library of America (DPLA) eBooks NEW!. The Mason OER Metafinder NEW! will simultaneously search up to 17 open educational resources (OERs) for freely-available electronic texts and other educational materials (George Mason University). If you like eBooks, don't forget to check out South Plainfield Public Library's free digital downloads. Audiobook Classics from OneClick Digital have been discontinued. Use South Plainfield Public Library's free audiobook downloads instead. Classic Short Stories - E-texts of classic short stories by dozens of writers including Wharton, Twain, Hawthorne, Poe, Mansfield, de Maupassant, Kipling, Saki, Garcia Marquez, Chekhov and others. FeedBooks - Free downloads of thousands of public domain and original e-books in multiple formats/platforms, including EPUB, Mobipocket/Kindle, and PDF. See also GCF LearnFree's Online Money Tips: The 5 Best Websites for Free eBooks (Goodwill Community Foundation, Inc.). If you like eBooks, don't forget to check out South Plainfield Public Library's free digital downloads. LibriVox Classic Audio Books AUDIO - Free recordings of classic books, to download in mp3 or ogg format. Books are recorded by volunteer readers, so the quality of readings will vary. If you like audio books, don't forget to check out South Plainfield Public Library's free audiobook downloads AUDIO. We offer a wide variety of commercially recorded audiobooks including both classics & recent bestsellers, fiction & nonfiction. Listen to Genius AUDIO - Hundreds of downloadable audio selections from the world of classic literature, read by award-winning professional narrators. Includes short stories and poetry, as well as excerpts from novels, biography, philosophy, drama, history, science, travel and more. You can browse audios by author name or subject; most audios are 10 - 20 minutes in length (Redwood Audiobooks). Lit to Go AUDIO is a free online collection of stories, poems, books, and plays in Mp3 (audiobook) format. 'You can download the files to your Mp3 player and listen on the go, listen to the Mp3 files on your computer, view the text on a webpage and read along as you listen, or print out the stories and poems to make your own book.' Recordings range from short poems to full-length novels; site also includes themed collections (University of South Florida). For more audiobooks you can download free from eLibraryNJ (Overdrive), check out our Audiobook Downloads page. Poetry Foundation AUDIO - Poetry news, poet profiles, reviews, and other articles on poetry and culture, plus a collection of more than 3,000 contemporary and classic poems in English by more than 250 poets. You can search for poems by keyword, or use the Poetry browse page to find poems by subject, occasion, period or region. See also Poetry Archive AUDIO, Poets.org: Academy of American Poets AUDIO (use the browse poems & poets page to find poems by occasion, theme, forms, or movements), Poetry at the Library of Congress AUDIO VIDEO, PennSound AUDIO, and Poetry Everywhere VIDEO (PBS). Project Gutenberg: Classics Online - See listing above. Public Domain Review AUDIO VIDEO - 'An online journal and not-for-profit project dedicated to the exploration of curious and compelling works from the history of art, literature, and ideas.' Includes a large collection of public domain texts, images, films, and audio recordings, as well as essays about public domain works. Rare Book Room - Offers book lovers a chance to look through some of the world's rarest books, each page digitally photographed in high resolution. A line of arrow icons runs above the top of each page image; click on the icon on the farthest left to zoom in for a closer view. If you've ever longed for a glimpse of the original 1455 Gutenberg Bible, here's your chance! Shakespeare Links - Our selection of the best websites on Shakespeare, including texts, plot summaries, criticism, and more. Community of Literary Magazines and Presses - Includes a searchable directory of member publishers. New Pages - 'News, information and guides to independent bookstores, independent publishers, literary periodicals, alternative periodicals, independent record labels, alternative newsweeklies and more.' Also lists writing contests, calls for submissions, and other resources for writers. Publishers' Catalogues - You can search for publishers by name to view their online catalogs. Links to thousands of publishers worldwide. Assistive Media AUDIO - 'Audio access to reading materials for anyone with a reading access barrier. Talented volunteers record magazine articles and other short works which are then available for download or podcast.' Most recent articles are from 2015; non-profit organization. For free downloads of audiobooks, see South Plainfield Public Library's audiobook downloads page. Described & Captioned Media Catalog (DCMP) - The DCMP media library has over 4,000 free-loan described and captioned media titles; members can watch media online or order a DVD copy to be shipped to them. Individuals must be deaf or hard of hearing (or the parent of a deaf or hard of hearing child) to register for service. Disability in Kidlit - Offers articles, reviews, interviews, and discussions on the portrayal of disability in middle grade and young adult literature. It examines this topic from various angles, and always from the disabled perspective; all contributors have a disability. Library Service for the Blind and Physically Handicapped - A national network of cooperating libraries lending braille and audio materials, by postage-free mail, to eligible visually or physically handicapped borrowers in the United States. Includes books and magazines. Find audio, braille, and print/braille books for preschool through grade 8 from the NLS Kid Zone. See NLS Reference Materials for a list of all the services and materials offered by the National Library Service for the Blind and Physically Handicapped (NLS). Locally, the South Plainfield Public Library offers audio books, large print books, and homebound delivery. Call us at (908) 754-7885 for more information.